Imagery is for illustrative purposes only. Features, finishes, and prices are subject to change without notice.The Brownstones at Chevy Chase Lake is being developed by CC Homes Associates LLC. 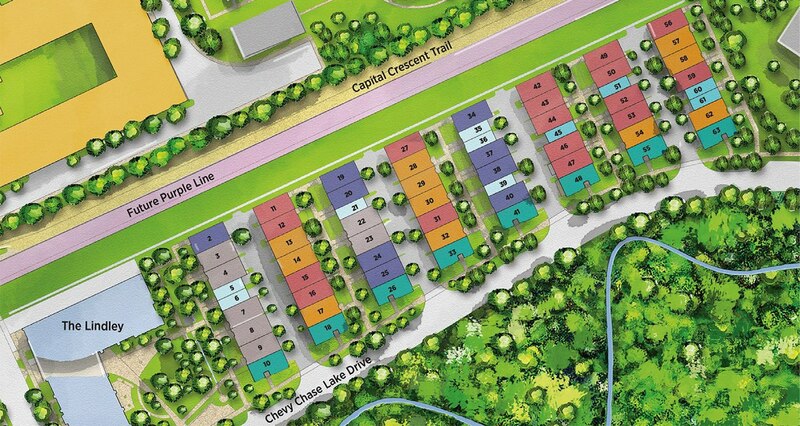 No representations regarding the development, construction or sale of any portion of the Chevy Chase Lake community is made by EYA LLC or any EYA affiliate except CC Homes Associates LLC. Sales by EYA Marketing LLC, agent for CC Homes Associates LLC. School service areas are subject to change should be confirmed by MCPS.